a loss of couple hundreds or thousands. Many evidence has been revealed in past where criminal groups have used fake currency to generate profits. Such profits can be used for a sample of works like money laundering, smuggling and production of illegal documents. 1. See through your register - When the note is held against the light, you will be able to see the register with denominational numeral. 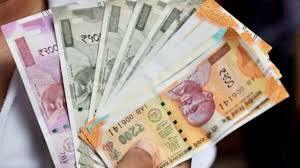 For instance, if it is Rs 2000, then you will be able to see through register with numeral 2000. Same goes for other new banknotes. 2. Latent image - If the note is held at 45 degree angle at the eye level, then a latent image with denominational numeral must be seen on the banknote. 7. There will be a numeral panel with numerals growing from small to big on the top left side and bottom right side. 8. Make sure the year of the banknote you hold is accurate. For instance, the new Rs 500, Rs 2000 will be marked with year 2016, then Rs 200 will be in year 2017 and the other notes to bear the year 2018. 9. Swachh Bharat logo with slogan, Language panel, Motif, denominational numeral in hindi are some features to also note whether the currency you carry is real or not.